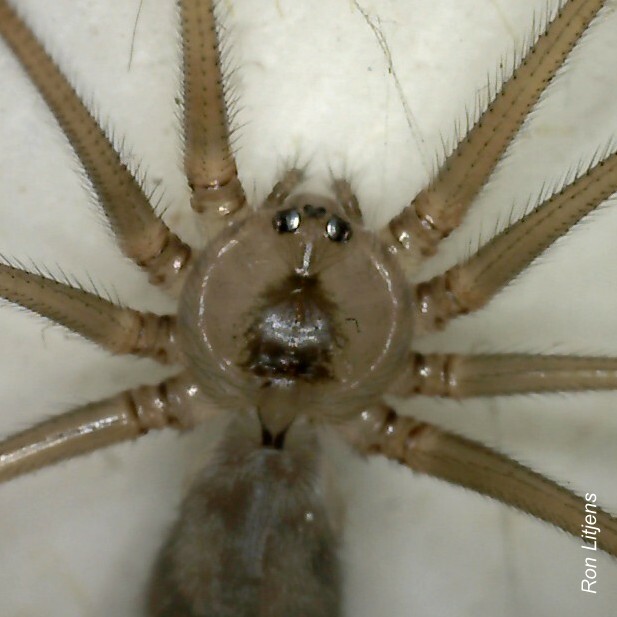 There were three spiders that dominated my childhood – the Redback Spider, which we were warned to watch out for, particularly under the seat of our outdoor toilet; the Huntsman Spider, which used to pour out in great numbers when I pulled the bark off trees looking for insects; and the innocuous Daddy Long-Legs Spider. When reciting the Incy Wincy Spider nursery rhyme it was the latter that came to mind. 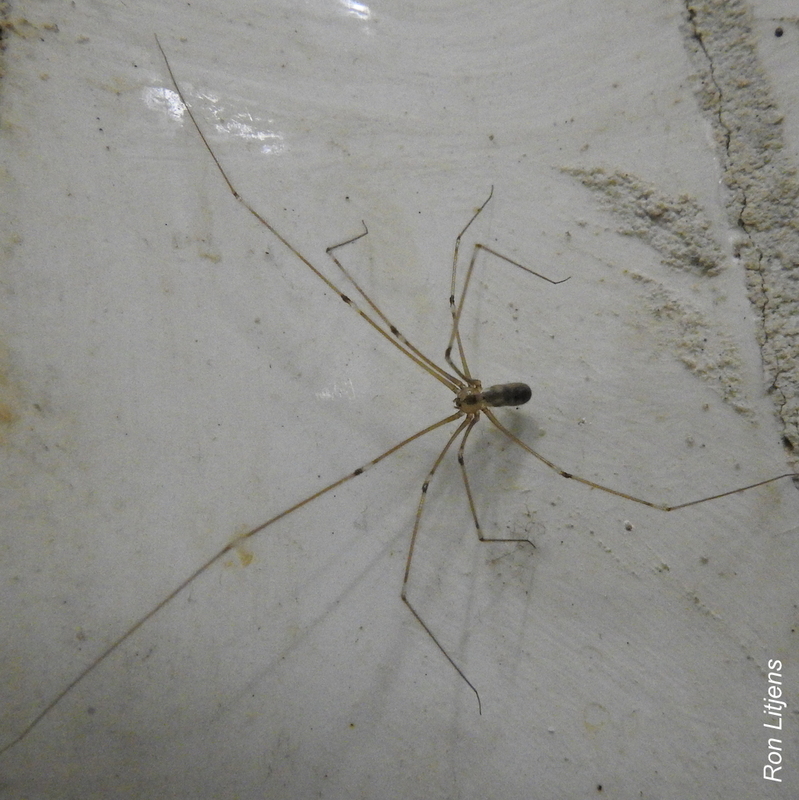 Daddy Long-Legs Spiders, as the name suggests, have legs that are extremely long when compared to the body size (see picture above). They are usually found upside-down in webs built in undisturbed areas of buildings such as in the corners of ceilings. They build three-dimensional, messy webs that unlike other spider webs are not sticky. Prey gets entangled in the web and is quickly paralysed and wrapped in silk by the waiting spider. A Daddy Long-Legs web is littered with such silk bundles. These spiders are not native to Australia. Daddy Long-Leg Spiders eat Redbacks so are good to have around the house. Good ol’ Incy Wincy.